Thousands of moving companies exist in the United States today and they are all competing for customers. At first you’ll be happy to know that you have a lot of options, but in truth, you should be quite wary because among these so called “companies” are a lot of scammers and cheaters. Most moving companies base the total price based on how much you want to have shipped. To measure this, they often rely on and check the weight of the entire shipment including the truck itself (gross weight) by going to a weighing facility. Cheating using the gas tank – Starting the initial weigh-in with an almost empty gas tank and then refilling during the journey is one common scam practice. As a result, the weight is significantly higher during the final weigh-in. To avoid this, you should ask the movers straight up about this detail during the first weigh-in. That way, they’ll know that you’re aware of this kind of scam and hold off on doing it. Changing the moving crew – Most customers aren’t aware that scam companies include even the moving crew’s weight therefore affecting the initial and final weigh-ins. Sneaky companies can cheat you on this by changing the moving crew that does your delivery. For example, the initial pick-up could be done with a skinny crew while the final delivery will be done with a healthier, beefier bunch, or even with additional personnel (4people instead of just three). How they park – Scam movers sometimes park the truck with the front wheel outside the scale during the initial weigh-in then switch is back in during the final weighing process. Even turning the truck the other way (around) can affect the weight. Sometimes, rogue movers get two tickets for weigh-ins. The first one is the one which is done correctly while the second one is done a few minutes after when the truck is parked incorrectly. Scam movers often practice deceptive methods to cheat on the weight of the shipment. After they pack and load the client’s personal effects, they will then inform the naive client that the “actual” weight is higher than the “expected” weight estimate. So basically, they give the client a much lower weight at first then afterwards show them the higher one so they can charge for the supposed “unexpected weight”. More often than note, the customers only react by blaming themselves. They think that they packed too much in the last minute and eventually agree to pay the exorbitant amounts. One of your best options is to get a binding estimate. This means getting a fixed contract for the entire move wherein any changes will not cause fluctuations in the final price. The thing with binding estimates is that they’re a bit higher that non-binding estimates at first, but remember, this way the movers can’t cheat you in between the pickup and delivery. But of course nothing beats good old research. Before you agree and sign any contracts, make sure that you’ve done your research about the companies you’re considering (find at least 3 for safety). Check if they have the proper DOT licenses and Motor Carrier Number. Find out if they are accredited by the American Moving and Storage Association as well as the Federal Motor Carrier Safety Association. Calling and consulting with the Better Business Bureau is also a good option. Check if they have a good score and if there are any past complaints with their service. 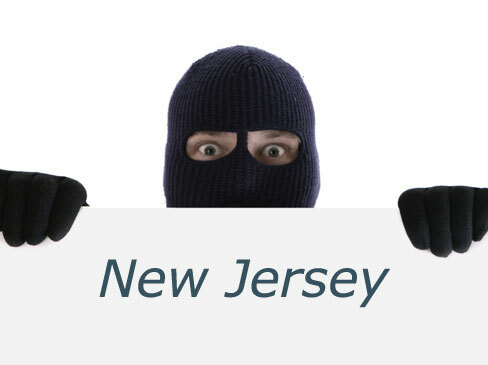 Your best defense against rogue and scam movers is to be informed and vigilant. Don’t sign anything until you’ve double-checked it. Don’t let any detail go unnoticed.